When I see kitty themed items I immediately think of several family and friends that it would fit for, sometimes even myself. This case would have been mine if it came in the size I needed, believe me I had that much fun with it. This case is super cute and so wish it came in the size to fit my phone. For those who have the iPhone 6s plus or the iPhone 7 plus you are in luck this comes in your size. 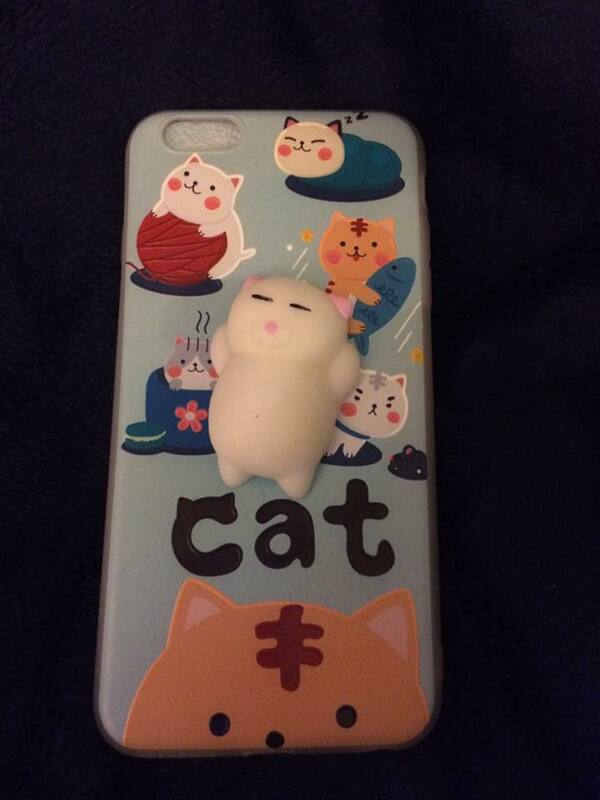 The case is soft and flexible with pictures of kitties as well as a 3D squishy kitty. The squisy kitty is what really makes this so cute and loveable. I just couldn't help rubbing it's belly. It looks so happy when doing so. The Soft Kitty case can be found at my affiliate link below. Disclosure: MarksvilleandMe received one or more of the products mentioned above as part of a promotion with Tomoson and Trendy Pro. Regardless, MarksvilleandMe only recommends products or services we use personally and believe will be good for our readers. Some of the links in the article may be “affiliate links.” This means if you click on the link and purchase the item, I will receive compensation. If you would like MarksvilleandMe to review or promote a product or service please contact us at marksvilleandme@gmail.com.